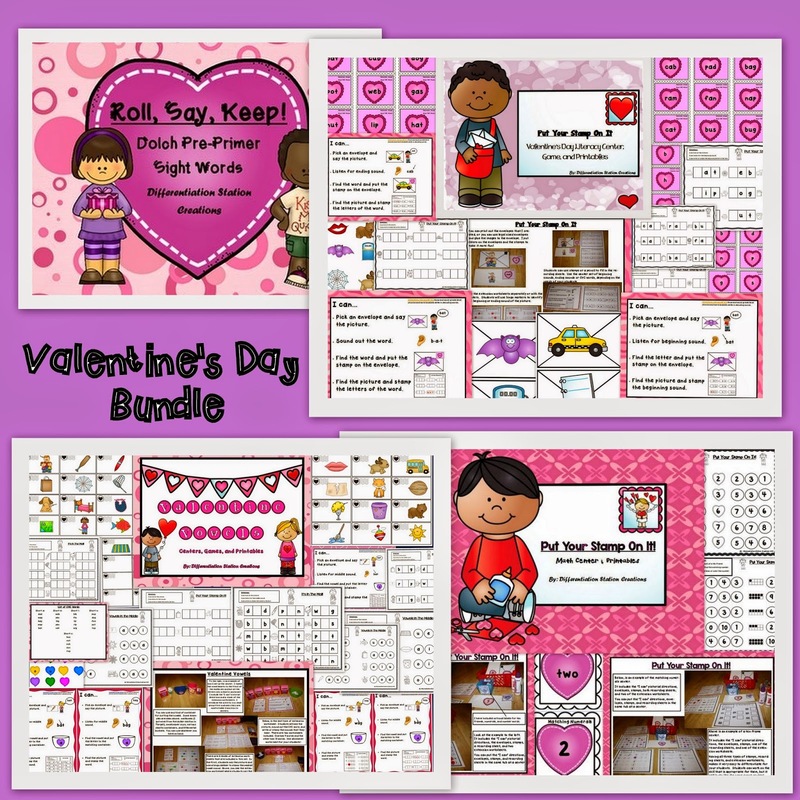 Here is a little taste of a larger set of Valentine centers and printables. “Put Your Stamp On It”. It’s a really fun way to practice matching numerals, ten frames, and number words. 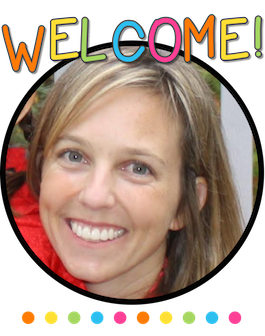 You can differentiate for your students’ needs! 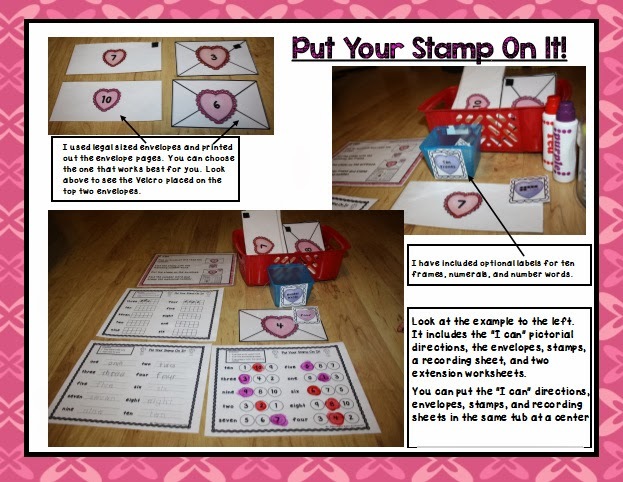 I had some requests for a literacy version of “Put Your Stamp On It!”. I didn’t want to disappoint 🙂 I now have a literacy version that focuses on beginning sounds, ending sounds, and decoding CVC words. I hope that your kids love this one, too! Here is an example of the ending sound version. Students will say the sound, listen for the ending sound, and then find the matching stamp. 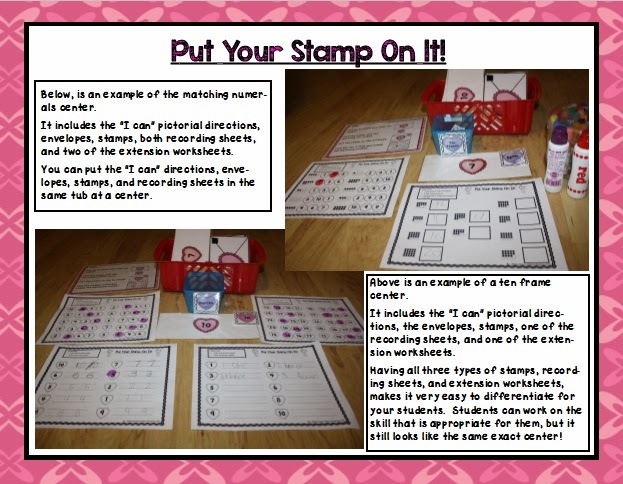 After matching up all of the stamps, students will complete the recording sheet and “stamp” their ending sounds. I love using stamps with the kids. Stamps always seem to make everything more fun! I also included extension worksheets that you can use with the center or separately. Students can use bingo dabbers or color in the letter. In the examples below, students identified ending and beginning sounds. You can also pick up Valentine Vowels here.